If an item is missing from your order, it may be because it will be sent from a different warehouse or at a different time of year. For latest product despatch information, please see the individual product pages. 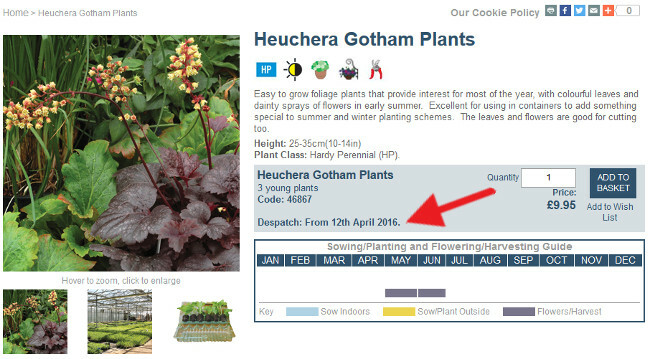 Despatch dates for live plants may vary depending on growing conditions, these should be used as a guide only. You can track the status of your order here, even if you didn’t place your order online or have an online account. Telephone: 0333 321 3103. Lines are open 8am to 8pm Monday to Friday and 9am to 5pm weekends.